Let's bring children's vision into the 21st century. In order for an individual to be an efficient reader and to develop a love for reading, all of these areas need to be functioning at an age appropriate level. An important part of the reading process, which is often misunderstood and often overlooked, relates to visual skills and competency. It's assumed that an individual needs only 20/20 vision for successful reading. Nothing could be further from the truth. The visual contribution to the total reading process can be divided into two main categories: visual efficiency skills and visual processing skills. Visual efficiency skills involve the ability of the eyes to gather written information from the text and then send that information to the brain. During silent reading, this is the primary way written material is sent to the brain. Eye tracking and peripheral vision: The eyes must have the ability to make accurate jump movements from word-to-word and line-to-line in order to maintain proper reading speed. If a child needs to read with his/her finger, this is a common sign of a problem in this area. Eye focusing stamina and accuracy: Many students have a weak focusing system that is needed for reading. They may also have a reduced ability to maintain constant clarity on the text because their focus is either behind or in front of the reading material. Students with focusing problems often hold their book too close in order to increase the magnification caused by these focusing problems. During a comprehensive eye and vision examination, an eye doctor should evaluate eye health, visual acuity, and visual efficiency skills. Visual processing skills involve the brain's ability to interpret the information sent by the eyes. Visual discrimination: In order to recognize the small differences between shapes of similar letters and words, the visual portion of the brain must have learned the ability for visual discrimination or "attention to details." Visual figure ground: When reading, the brain has to be able to concentrate its attention on one-word-at-a-time while ignoring the other text on the page. Visual processing speed: When reading proficiently, a good reader will read 3-to-5 words per second, depending on the grade level. The speed of visual word transmission to the brain is crucial in developing appropriate reading speed and fluency. If you suspect a child with a visual processing problem, Vision First recommends an eye appointment with an eye doctor who's a member of the College of Optometrists in Vision Development. 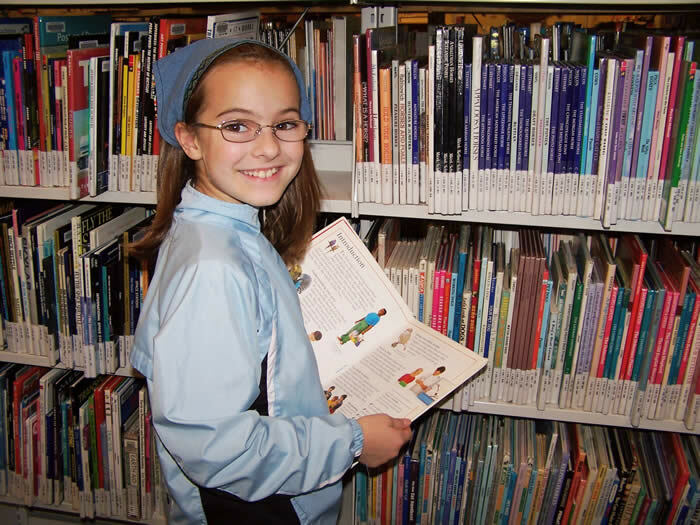 Reading experts believe that the more time a student spends in the act of reading, the better reader they will become. When we ask that same student to spend time silent reading, we are not asking them to use their speech or hearing. We are asking them to use their visual system in a very specific and sustained way. If students are expected to use reading as their most valuable tool for learning, then we must help them develop important visual skills to their maximum potential, which ultimately contributes to the total reading process. “During the 1970’s, my son’s teachers informed me of reading problems. I questioned if his eyes should be examined. I was always told it wasn’t necessary since he passed his vision screenings. I believed vision screenings detected any vision problem. I knew many parents who held this same misconception. Unfortunately my son struggled in school. This caused low self-esteem and created problems for a long time. Eventually an optometrist diagnosed a vision problem and he received vision therapy. I tried to improve the system but screeners and ophthalmologists prevented any change. I still don’t understand their opposition. How can anyone be against something that is good for the children? I am thankful and proud to be part of Vision First Foundation. After 35 years, change is finally underway for children’s vision." “When my son was in kindergarten, he struggled with reading so a reading specialist tutored him three-times-a-week. Then the summer before first grade, his CCD teacher, Janet Hughes, recommended a complete eye exam with an optometrist. Mrs. Hughes had shared her daughter passed her vision screenings but really needed glasses and that I should have my son’s eyes checked by an eye doctor. My son also passed his vision screenings. What do you know…he needed bifocals! I was very angry and upset when we learned his diagnosis. I felt so bad for my son who struggled during the most important grade of his schooling. I firmly believe teachers, parents, and schools need to be educated on children’s vision. Mandatory eye exams should be invoked." “Do you believe the 20/20 eye chart introduced 150 years ago is still present in every medical office in the country? This 150-year-old eye chart is still used as a screening device for seeing disorders and to determine seeing problems of the young and old. How far away one can see has very little to do with today’s school or computer problems. The eye chart is a monocular test for far away seeing. It has little to do with reading difficulties. It gives a false sense of security of what the eyes can see. Could you imagine any other health screening that uses a test 150 years old and presents mostly false negatives? “The man who does not read books has no advantage over the man that cannot read them." Visual efficiency and visual processing skills are important for successful reading. Copyright © 2007-2010 Vision First Foundation. All rights reserved.